The three surviving Monkees--Micky Dolenz, Peter Tork and Mike Nesmith--have announced a followup to their successful tour of late last year. 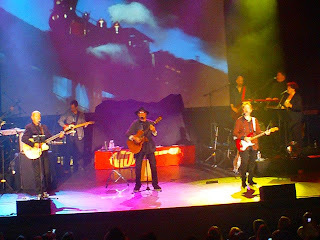 The will supposedly be hitting stops in places that they hadn't visited on the first tour, as well as common places in different venues, such as on Long Island. 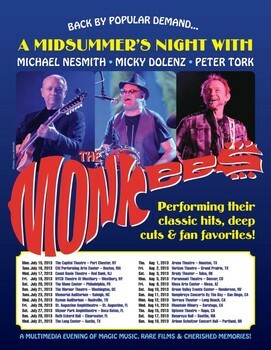 Here is the link to read up on the newest tour: http://www.rollingstone.com/music/news/the-monkees-reveal-u-s-summer-tour-dates-20130429#ixzz2RqqZNGIE . Here are the tour dates, and tickets for all the dates go on sale on Friday, May 3.